The DigitalFoto 2 oz Counterweight consists of four half-ounce counterweights that can be stacked up or spread out separately on an included mounting bracket. The width-adjustable bracket attaches to the gimbal arm of virtually any smartphone gimbal including the DJI Osmo Mobile 2, Feiyu G6, and Zhiyun Smooth 4. 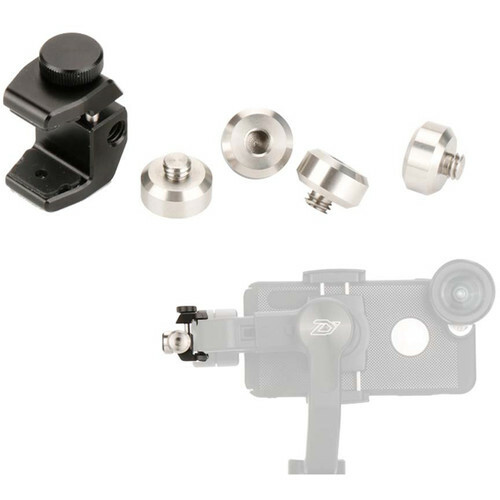 The weights secure into 1/4"-20 threaded holes offered throughout the bracket and can be screwed onto one another to help balance out the gimbal.